Sommer aimed to transform ZF into a leading technology company in e-mobility and autonomous driving. ZF Friedrichshafen said CEO Stefan Sommer is leaving the company. Sommer's departure likely signals the end of an expansion strategy that drove the Germany supplier's $12.4 billion acquisition of TRW Automotive, creating the industry's second-largest partsmaker. ZF said Sommer's deputy, Konstantin Sauer, will become interim CEO. Sauer, 58, started at ZF in 1990 and has been its chief financial officer since 2010. 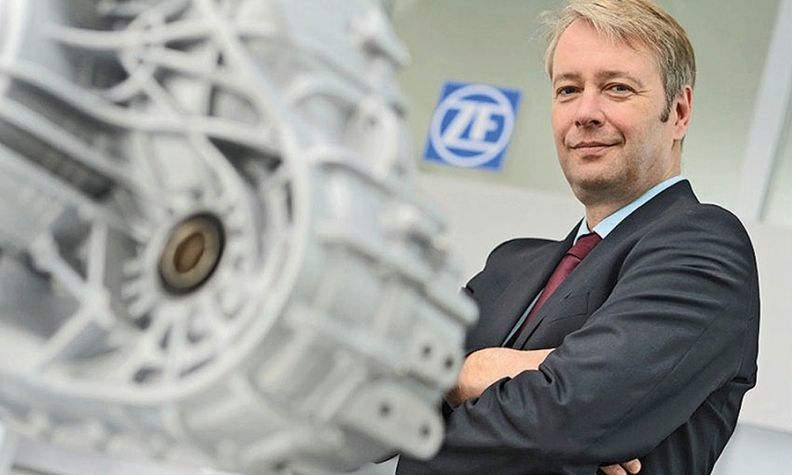 ZF has been locked in a power struggle over its growth strategy. Its owners, the ZF Foundation led by Friedrichshafen Mayor Andreas Brand, want to reduce debt and increase dividend payments, according to press reports. Last month Sommer's most powerful ally, Giorgio Behr, stepped down as supervisory board chairman. He was replaced by former Audi and Bentley CEO Franz-Josef Paefgen. "We would like to thank Dr. Sommer for his long-standing, successful employment in the company. In his five years of service as the head of ZF, Dr. Stefan Sommer has developed the company with tireless commitment and great vision," Paefgen said in a statement Thursday. Sommer, 54, went on a buying spree to transform ZF into a leading technology company in e-mobility and autonomous driving, reducing its dependence on combustion-engine cars. ZF ranks No. 2 after Robert Bosch on the Automotive News Europe list of the top 100 global suppliers with worldwide sales to automakers of $38.46 billion during its 2016 fiscal year.